One of the greatest musicians of the country and the senior most doyenne of the Kirana Gharana, Gangubai Hangal passed away a few days ago. As a tribute to the lady who was among the most revered musicians of India, Ninaad music is presenting one of her best live recordings Shakti & Peace in CD format which was earlier produced as a double-cassette pack to celebrate her 87th birthday. Gangubai was born on 5h March 1913 into a family of musicians. From her childhood days, where she carried the stigma of being a singer’s daughter to the status of being a living legend, she went through a lot of pains only to become stronger and more dedicate to her music. Hough Gangubai was initiated into music by her mother Ambabai, her chief Guru was Pt. Rambhau Kundgolkar, popularly known as Sawai Gandharva. He groomed her in the Kirana Gharana gayaki. Gangubai’s voice was not syrupy sweet but strong with a unique resonance an texture of its own. Her music was a true reflection of her personality, simple and sincere, which she combined with rare grace and emotional depth. The deep peace that she enjoyed within was so integral to her music that it was passed on to the listeners, as they were transported to a different world altogether. From honorary doctorate to Padmabhushan, the list of awards and titles conferred upon her seems unending. However what made her a phenomenon in herself was her enthusiasm to travel long distances to perform for music lovers and her capacity to give powerful and elating performances even after crossing 90 years of life. Indeed she was the true embodiment of Shakti, an era of our rich heritage personified. An accomplished vocalist in her own right, Krishna Hangal was part of all the concerts and recordings of Gangubai. There seemed an amazing intuitive understanding between the mother and the daughter in terms of each other’s musical intent. In contrast to Gangubai, her voice was softer and seemingly high pitched. Together they made a very pleasing combination which was rich, melodious soothing all at the same time. Originating from the Kafi Thhat, Raga Mesh Malhar is a pentatonic scale, using only five notes in both ascending and descending order. It omits Re and Dira totally. Ni, the seventh note is used in both regular and flat forms. As the name suggests it is a monsoon raga. As always, Gangubai has given an extensive treatment to the raga with her composition Magan Ro set to slow paced Jhaptaal. Her powerful tans really remind of thundering and bring the vision of monsoon clouds to the mind. 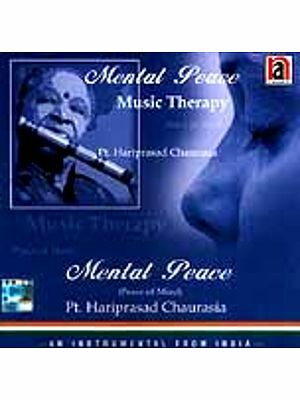 A Purvi Thhat Raga, Puriya Dhanashree uses Re and Dha in flat form and Ma in sharp form. The predominant not is Pa while the supporting not is Sa: It is a late afternoon melody. Starting with Paar Karo Araj Suno, a medium paced composition set to Jhaptaal, Gangubai brings the raga to life, enhancing its mood as she unfolds the raga gracefully, giving it a very emotional treatment. The second volume opens with a composition in Raga Bhimpalasi, which originates from the Kafi Thhat. Using Ga and Ni in flat forms, Bhimpalasi omits Re and Dha in the ascending order and uses all seven notes in the descending order. It is normally performed in the second half of the day. Gangubai highlights all the delicate nuances of the raga in her presentation of the composition Ab Toh Sun Le set to Vilambit Ektaal. This is followed by a fast paced composition Garvaa Harvaa Daaro Re set to Teentaal which has an abundance of wonderful, vibrant tans by the mother and daughter. The concluding composition of the album is in Raga Bhairavi, an early morning raga which uses Re, Ga, Dha and Ni, all four in flat form. This raga is known for creating a devotional mood as well as pathos. Gangubai sings a composition Bol Naa Bole set to Teentaal. Her rendition has a unique spiritual feel to it, despite not being manifest in the words. It truly depicts the longing of the soul for the Superme being, the parmatma. 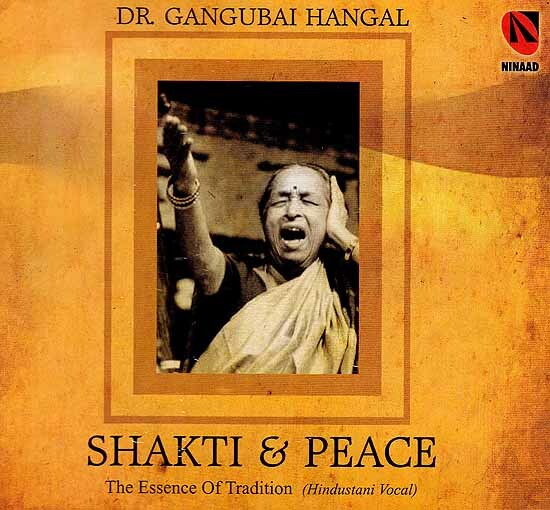 The two volumes of Shakti & Peace are live concert recordings. Although digitally reprocessed and edited, parts of it may carry ambience sound which seemed unavoidable in order to preserve the richness of the phrase and the flow of her musical intent.